Built with enough room for the well-practiced backcountry bivy hunter, the Sitka Gear Bivy 30 is made for the savvy lightweight overnight missions. An easy to remove lid allows you to decrease your pack into a manageable day pack. This lean shaped, Alpine inspired set-up has minimal pockets to reduce weight and keep you light on your feet. Some people thrive on going light. Built with enough room for the well-practiced backcountry bivy hunter, the Sitka Gear Bivy 30 is made for the savvy lightweight overnight missions. 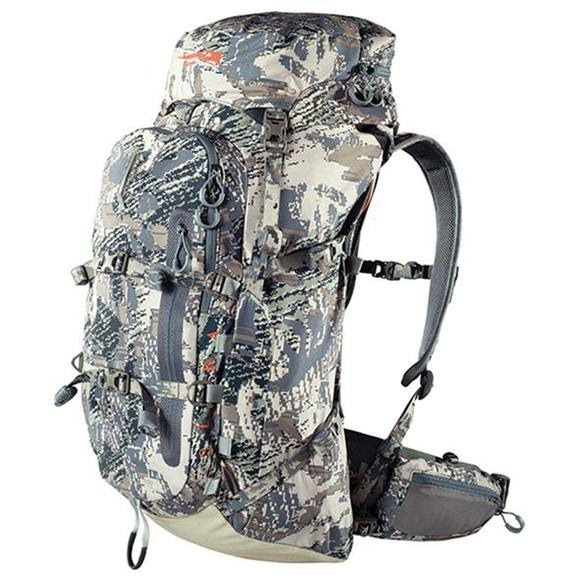 An easy to remove lid allows you to decrease your pack into a manageable day pack. This lean shaped, Alpine inspired set-up has minimal pockets to reduce weight and keep you light on your feet. Some people thrive on going light. If that&apos;s you, this is your pack. Built with enough room for the well-practiced backcountry bivy hunter, the Bivy 30 is right up your alley. Easy to remove lid allows you to decrease your pack into a manageable day pack. This lean shaped, Alpine inspired set-up has minimal pockets to reduce weight and force you to stay light on your feet.